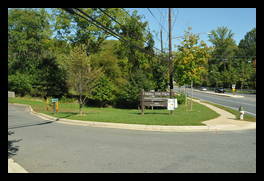 1620 E Randolph Rd, Colesville, MD (map) Note that the park website incorrectly lists the park as 1620 Randolph Road, the correct address is 1620 East Randolph Road. 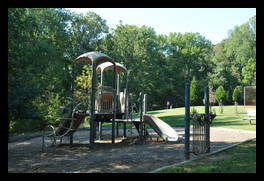 This park has a playground, two picnic pavillions, a ball field, a pool and an entry onto a hiking trail. 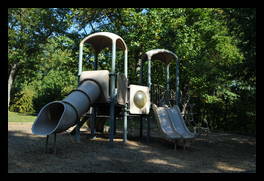 The playground is small, with slides and a nice climbing structure. It is cushioned with a layer of mulch. 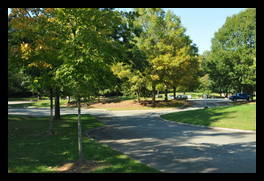 The park also has two pavilions with picnic tables and a grill, one is near the parking lot and one is near the playground. 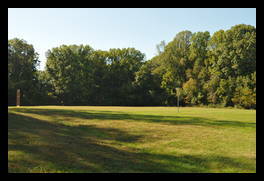 The playground and ball field is up a hill from the parking lot. You have to park then walk up a paved road to them. The park also has a small pool, but it is for camps only and not open to the public. 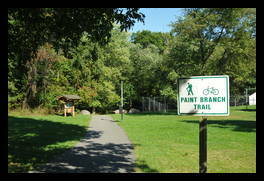 The parking lot is large, both to accomadate both pool and trail users. The pavilion is available for rental through the Facility Reservation Request Center. Typical of government sites, they don't make it easy. Steering Wheels 2 good Two steering wheels, side by side for all your driving needs. 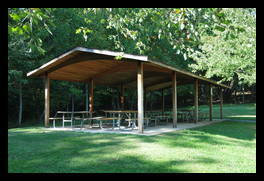 Montgomery County Department of Parks: Rentable picnic shelters.